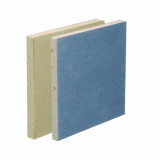 Whether you’re looking for standard plasterboard or thermal plasterboard for a more precise application, we have a full range here at Insulation Superstore.By giving you more choice on plasterboards we’re able to offer you and your customers even more from your project. 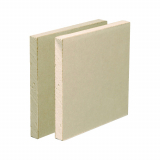 Why use standard plasterboard when you can use plasterboard with added benefits? 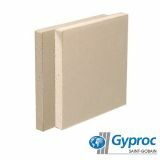 Choose from fire protection plasterboard, moisture resistant plasterboard for wet rooms, bathrooms and shower rooms and acoustic plasterboard that can help block airborne noise, plasterboard comes from top brands such as Celotex, Gyproc and Knauf - we’re confident that we have everything you need for your latest project, and all at our famously competitive prices. For any queries, product recommendations or advice, our team is always on hand and ready to help – just give them a call on 01752 692206 or use the live chat and they will be more than happy to help. Plasterboard, also known as drywall, is a piece of Gyproc, or gypsum, that is sandwiched between thick, heavy duty construction paper. Plasterboard is most commonly used on walls and ceilings, and is then finished off with plaster or paint. 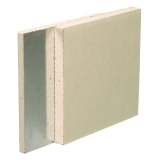 What types of plasterboard are there? There are a number of different types of plasterboard available, depending on where it is being installed, and why. 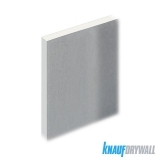 Firstly, plasterboard can have different edges, depending on how the wall is being finished. 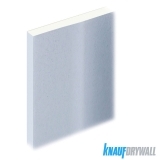 Opt for square edged plasterboard if you’re going to plaster the surface after installation to create a smooth, flat finish – this is what you’ll need if you’re planning on painting or wallpapering the room. This type of finish can result in a glossy finished product, but occasionally issues will occur with cracks as the plaster dries out, and you will need to plan in extra time to allow the plaster to dry out before progressing. 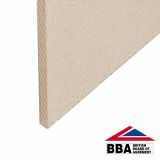 Alternatively, opt for tapered edge plasterboard. 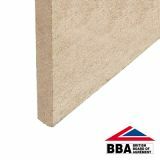 Tapered edge plasterboard is the plasterboard required if the surface is going to be dry-lined, which is a seemingly quicker and easier alternative to using wet plaster. 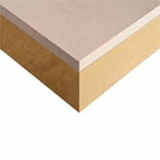 Tapered edge plasterboard has thinner edges than central sections, meaning that scrim and joint fillers can be applied where two edges meet, whilst still ensuring the surface is smooth and even to be painted over. Moisture resistant plasterboard has been developed to be used in humid and damp environments such as kitchen and bathroom ceilings and walls. 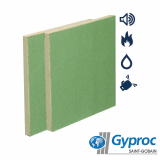 Moisture resistant additives have been added to the core composition to prevent moisture from being absorbed, and moisture resistant plasterboard products are green in colour to provide easy and quick recognition. 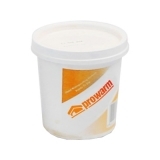 It isn’t recommended to plaster over moisture resistant plasterboard, as wet plaster attracts and soaks up moisture. 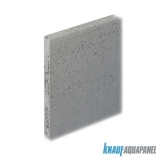 However there are a range of alternatives including a waterproof tanking system. 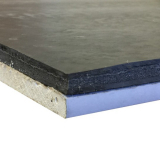 Acoustic plasterboard not only provides a quick and easy way to finish a room, but it also reduces the level of noise that travels both into the room and out of the room. 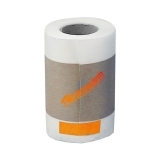 This can create a more private and quiet environment, particularly useful in studies, bedrooms and living rooms, as well as internal partition walls. 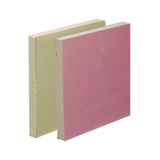 For best results, combine acoustic plasterboard with a number of other acoustic insulating products. 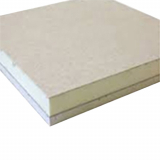 Fire resistant plasterboard provides protection against fire, and comes in a wide range of sizes, thicknesses and fire ratings. 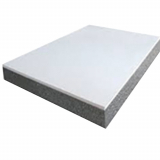 Choose from fire resistant plasterboard that is non-combustible, due to the addition of glass fibre and other additives, or alternatively opt for a fire resistant plasterboard that resists fire for 240 minutes before combusting. It is important to ensure you have the correct rated fire resistant board, particularly if it is specified in building regulations. Insulated plasterboard is a great time-saver and offers you extra assurance that your insulation is going to stay in place. 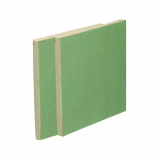 Thermal insulation board is bonded to the back of the plasterboard which helps give a swift installation. It can also be a cost-effective solution to insulating your walls as the insulated plasterboard may be cheaper than buying both constituent parts. 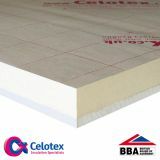 Our insulated plasterboard range comes from well-known brands Celotex and Kingspan so you're free to take your pick between whichever suits you. 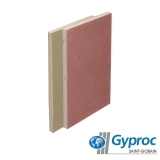 Their insulated plasterboard offering come in many sizes and thicknesses for application in between and under rafters and joists, in solid masonry walls and in timber frame builds. 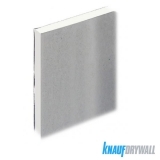 Often, plasterboard sheets come in larger sizes than are required for the project in hand. 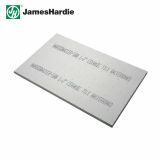 Because plasterboard can be used in so many different ways, both in DIY projects and larger scale situations, it will often need to be cut to a specific size, but how do you cut plasterboard? Check the progress of the cut regularly to ensure it’s staying where you’ve marked out. 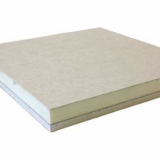 Insulated plasterboard is incredibly popular due to the reduction in labour and construction times, but how do you install insulated plasterboard? 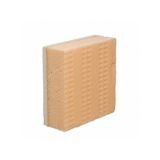 We’d recommend using the direct bonding method to ensure the insulated plasterboard is installed correctly as well as quickly. 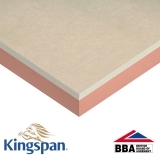 Because plasterboard can be used in so many different situations, from wall partitions, wall linings, ceilings, roofs and floors, it is important to know you’re getting the best price, particularly if you’re working within a tight budget. 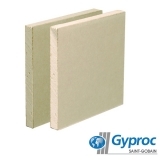 Take a look at our guide on the price of plasterboard, and feel free to get in touch if you need any further information or advice – just call 01752 692206 or use the live chat in the bottom right hand corner.